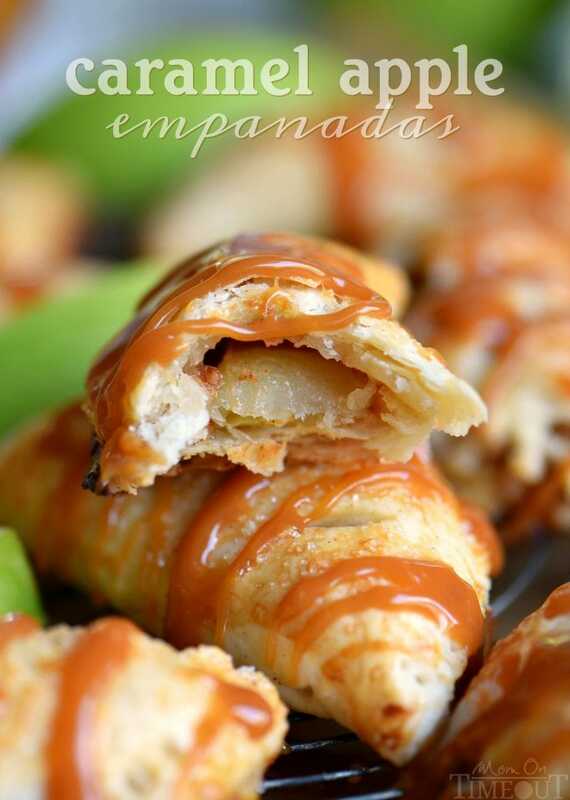 Caramel Apple Empanadas are the perfect way to get in a quick caramel apple fix without all the fuss! Perfect for an after-school snack or a quick dessert – these empanadas take less than 20 minutes to pull together and bake! My kind of treat 🙂 Caramel apple treats are my FAVORITE! 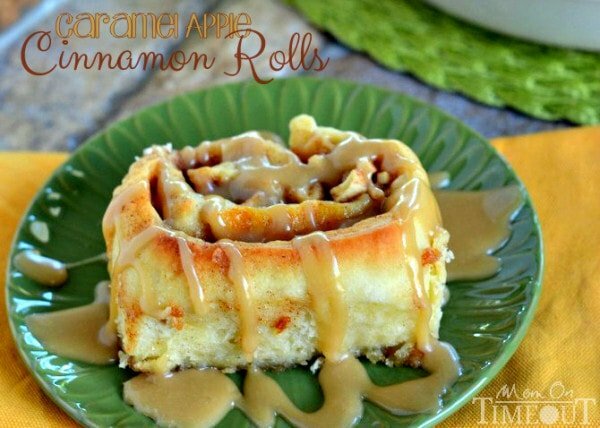 Make sure to try these Caramel Apple Cupcakes and Caramel Apple Cinnamon Rolls too! Remember that caramel apple craze I told you about?? Yeah. It’s not over. 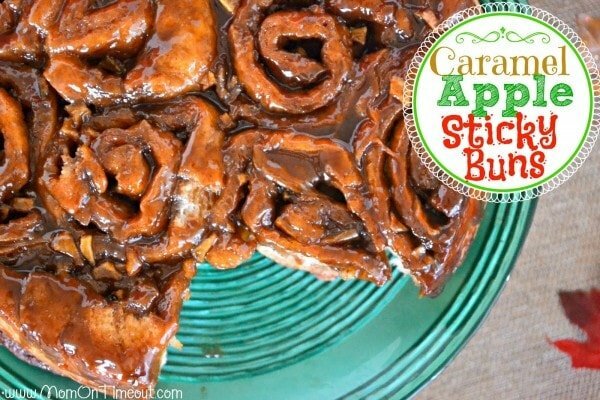 Last night I could hardly sleep for all the caramel apple ideas that were popping into my head – 99% of which will never be remembered. Isn’t that how it always goes? My best ideas always come at night when I’m lying in bed trying to go to sleep. I’ve seriously thought about starting to record my ideas on a voice recorder so I won’t forget. In the morning those ideas that seemed so bright and fresh are always a bit hazy. This, of course, has nothing to do with this particular recipe so let me start again. So this caramel apple craving had to be satisfied yet again just a few days ago. I was thinking about a caramel apple pie and got all excited….headed to the kitchen and found that I had only two Granny Smith apples and one pie crust. Not gonna happen. 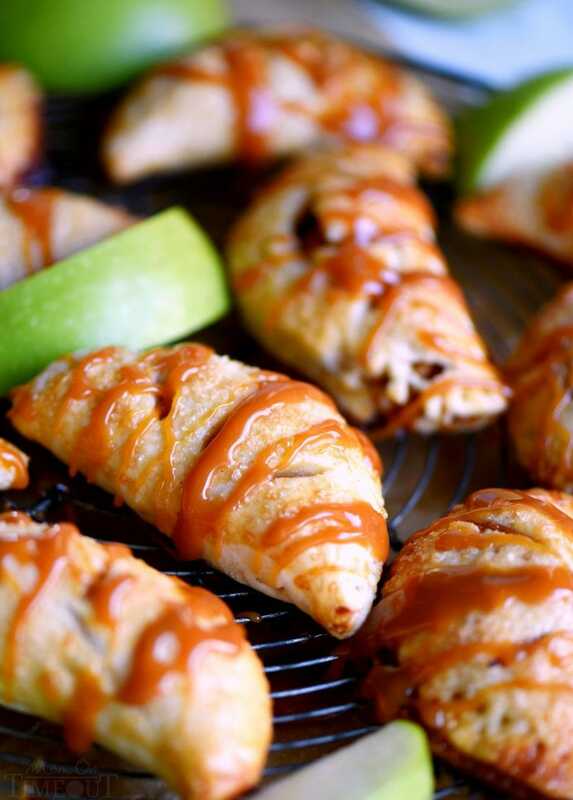 Caramel Apple Empanadas are the perfect way to get in a quick caramel apple fix without all the fuss! Perfect for an after-school snack or a quick dessert - these empanadas take less than 20 minutes to pull together and bake! Combine sugar and spices and sprinkle over apples. Toss to coat and set aside. Unroll pie crust on a lightly floured surface. Roll out just slightly. Cut out 8 rounds using a 4 inch cutter. Place pie crusts rounds on parchment-lined sheet. Place each apple wedge on the rounds - slightly off center, leaving room to seal the empanada later. Melt the caramel bits and milk together in a microwave safe bowl on high for 30 seconds. Stir and repeat until caramel is fully melted and smooth. Drizzle 1 tsp of caramel onto each apple being careful to stay away from the edge. Brush edges of rounds with egg and press edges together to seal. Use a fork to crimp the edges shut. 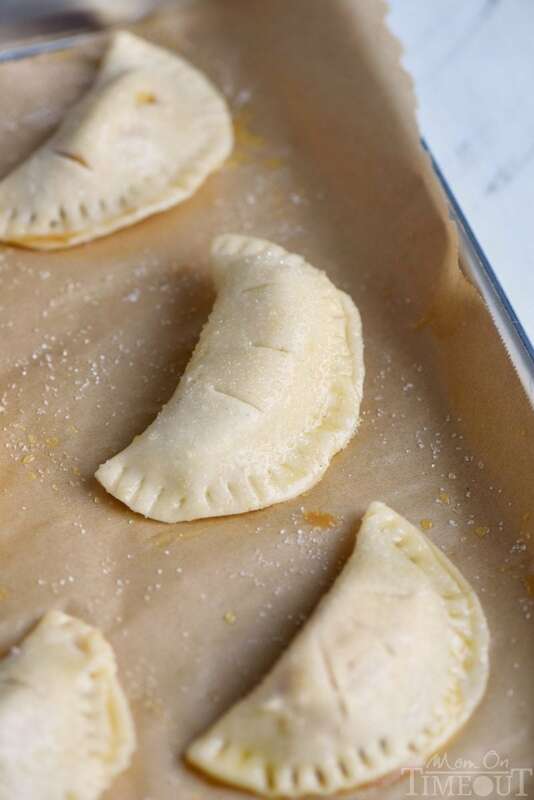 Brush the tops of the empanadas with egg and sprinkle with sugar if desired. Bake for 12-14 minutes or until golden brown and let cool slightly. 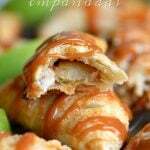 Reheat caramel if necessary and then drizzle over the top of empanadas and serve. Apples come in all shapes and sizes. If your wedges are too big, trim off just enough to fit. Caramel!!! Its love! thanks Trish! You have shared a really delicious recipe! Glad you enjoyed it Andrew! It looks so yummy. I willl try to make it. I happened upon your site looking for a banana, butterscotch bread recipe and I will have to say I LOVE YOURS! I have saved it, it is by far one of the best for not only recipes but for everything we do at home. Thank you for creating it! How many empanadas can this recipe make?? Best Cinco de Mayo dessert ever! 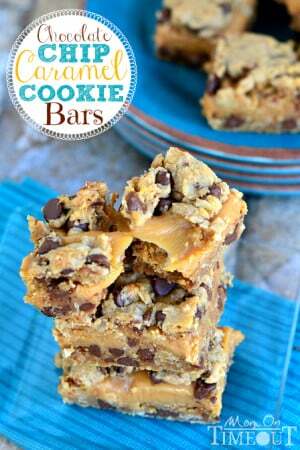 I’m excited to make these! Wondering if they can be froze?